A child was saved from a life-threatening skin disease. The doctors replaced 80% of his skin made from his own cells. This is also known as transgenic replacement. This procedure shows the ability of the skin stem cells to cure a distressing disorder. This procedure helps clarify the way the skin regenerates. Suffering from Epidermolysis bullosa, a genetic disease where the mutated proteins stop the epidermal layer of the skin from attaching to the dermis properly. This results in chronic wounds, blisters, immense pain and infections and many times it results in diseases that can be lethal. 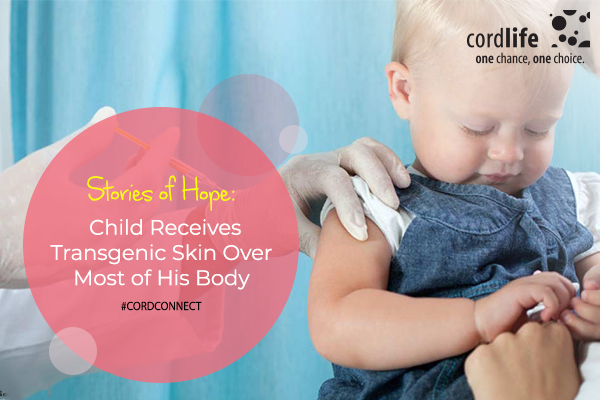 The child suffered from a severe form of epidermolysis bullosa. The reason was a gene mutation of laminin b3, which controls the anchoring of the epidermal cells. He had 80 percent loss of epidermis. His chances of survival were small. A biopsy was done to extract keratinocytes from undamaged epidermis. It was expanded in culture and then transuded with a retroviral vector carrying the healthy version of laminin b3 coding sequence. These cells grow as a sheet and are expanded until enough sheets were created to cover the child’s limbs and torso. Three operations helped cover the entire body. After a few weeks the cells that were transplanted proliferated to the wounds closing them. The new skin stuck to the dermis and had normal morphology and levels of laminin b3. The skin had normal elasticity and wound healing action. The transgenic skin showed how keratinocytes regenerates. Each month the human skin is replaced completely with new cells. But it is not known if this is the result of large number of potent progenitor cells or small number of stem cells which dominate the regeneration. The presence of genotypes in the biopsy was a good sign. Patients with epidermolysis bullosa are more prone to cancer. By replacing the diseased cells with functional transgenic the risk is decreased. There are many different forms of epidermolysis bullosa, including simplex, dystrophic and, junctional. Each is due to a different genetic fault leading to different building blocks of skin going missing. For each person a different gene, different protein will result in a different outcome. If the treatment works the therapy can last a lifetime. The long living stem cells constantly renew his genetically modified skin. And the skin grows as he grows. Transgenic stem cells can regenerate an entire tissue. This is good news to over 500,000 patients who suffer from epidermolysis around the world. It also is a blueprint to use genetically modified stem cells to treat many diseases. A matchbook size piece of skin was cloned and modified for sheets of skin for the child’s entire body. This regenerated skin does not require ointment. They reproduced as many cells as they wanted. This is not like grafting skin from one body to another. 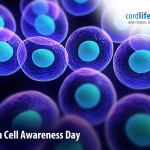 Previously only the only stem cells that have worked are the hematopoietic stem cells in blood and bone marrow. This proves that stem cells are engraftable. The parent cell can reproduce and differentiate into certain cell populations for a particular organ. This is the first indication that there’s another stem cell population beyond hematopoietic stem cells that’s able to do that. 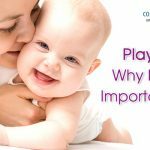 Play: Why is it important?